Have you heard of WP eCommerce? There’s a good chance that if you’ve been around WordPress a while, you’ve heard of WP eCommerce. The reason is because it’s the oldest, the original, eCommerce solution for WordPress. Years ago, when there was nothing else, I gave it a try and used it on a few sites. It was and continues to be free (with paid add-ons). So why not? What I learned was that eCommerce on WordPress, back then, was tough to do. But over the years something’s changed. WordPress has changed. The internals. And most companies that used to exist way back then aren’t around anymore because of how much work it would take to retrofit their products to the new WordPress. A WordPress product that supported custom post types, for example. And a WordPress that had functions it never had back then. But my friend Justin, along with others, started working to slowly change the engine while the plane was in mid-flight. WP eCommerce can power more than your store. It can power your membership site. And the work they’ve done has been nothing short of miraculous. Today people are checking out WP eCommerce again. But some of them have wondered if they could create a membership site with it? And the answer is yes. If you just got here, we’re on option 25 of 30. 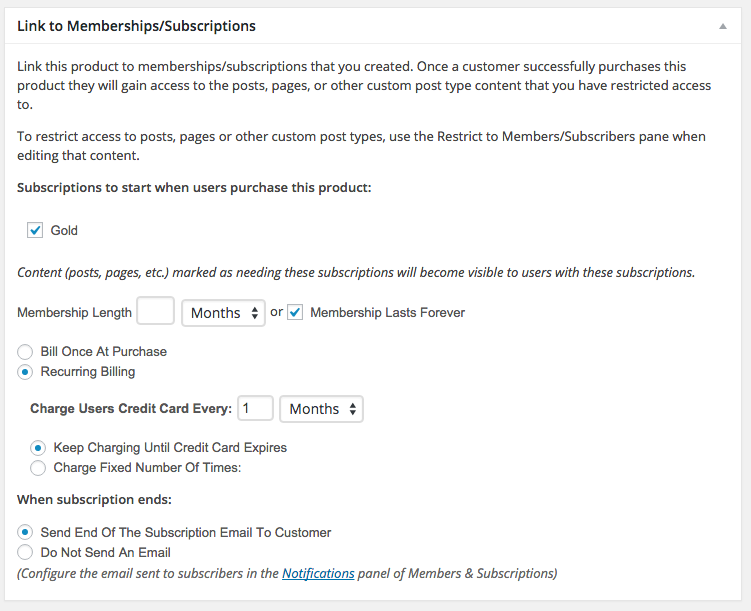 Some people didn’t even know there were (at least) 30 options for creating membership sites with WordPress. 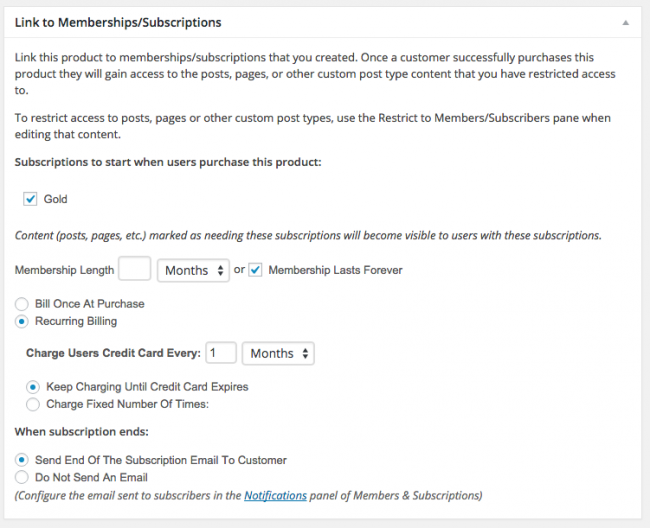 The membership solution for WP eCommerce is an add-on that costs $99. And while that may seem like a lot, you have to remember that all the rest of WP eCommerce is free. The add-on isn’t super powerful but it does exactly what you need if you’re running a site that is a store, but also allows you to have some members with protected content. The core of the add-on is content protection and subscription billing. I added Stripe to the mix so that I could test the two add-ons together. And of course, they worked perfectly. So that’s great news! I tell people that a membership is just one avenue of revenue creation – you also want to be able to sell other things, from digital downloads to t-shirts and more. And using WP eCommerce, all of this is possible. These were the biggies that stood out to me as missed opportunities. But the tradeoff comes in a simple-to-use and setup add-on with the power of eCommerce. So if that’s the thing you’re looking for, you’ll want to check it out.